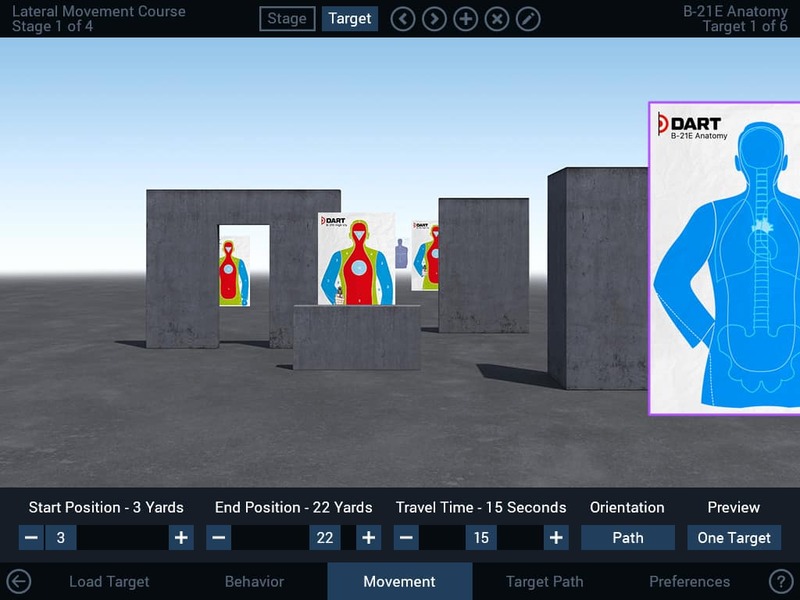 We’re excited to announce the arrival of DART 2 – a major update to the DART firearms training simulator containing more than 100 new features. 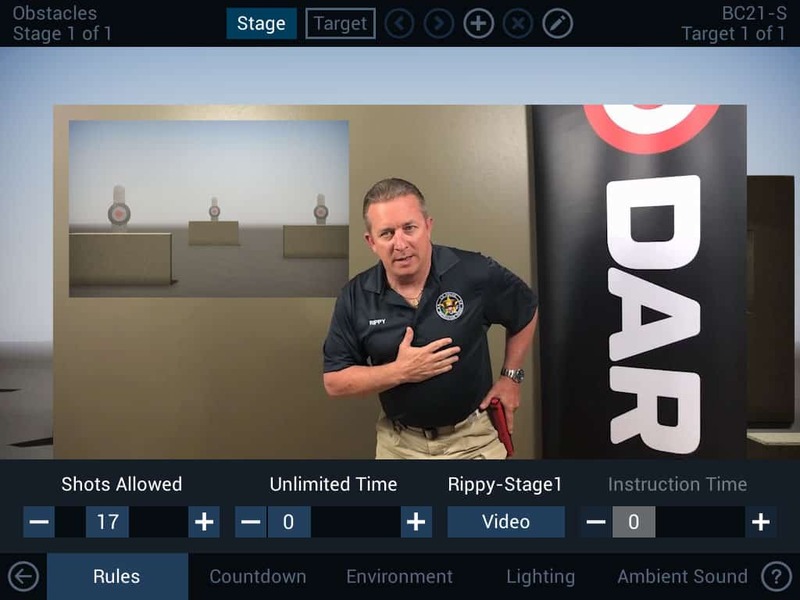 DART is being used by police departments coast-to-coast to help them learn, practice, and improve critical firearms skills – but the way they’re using it goes far beyond a typical simulation trainer. We have departments who have created live scenarios in which they move around the room firing at targets projected on the screen by their DART system. Other departments simulate firing from a vehicle, and one innovative department has mounted their system in front of a treadmill so that their officers can feel what it’s like to run and shoot. The new features in DART 2 will provide even more options for training. When you think about it, live-fire ranges (and most virtual ranges for that matter), don’t do a very good job of simulating the movement you might experience during a hostile encounter. For the most part, both target and shooter remain relatively motionless. DART 2 changes that with dynamic targets. Each stage can have up to 10 independently controlled targets – each with its own unique appearance, motion, and behaviors. To help ensure that targets move realistically, DART 2 uses a system of paths and behaviors. With a couple of mouse clicks, you can lay out a precise path for your targets to follow – and your paths can be saved for use in other courses. In addition, we’ve included a simple point-and-click method of assigning a target a starting behavior, trigger, and resulting action. For example, you can have a target rotate in and move slowly toward you. When the target is between 10 and 5 yards away from you (you set the actual distances), the target can brandish a knife and charge. This provides versatility that video-based training systems can’t match. These features allow you to embed important training principles directly into your courses of fire. This is beneficial because DART does not require a dedicated operator. 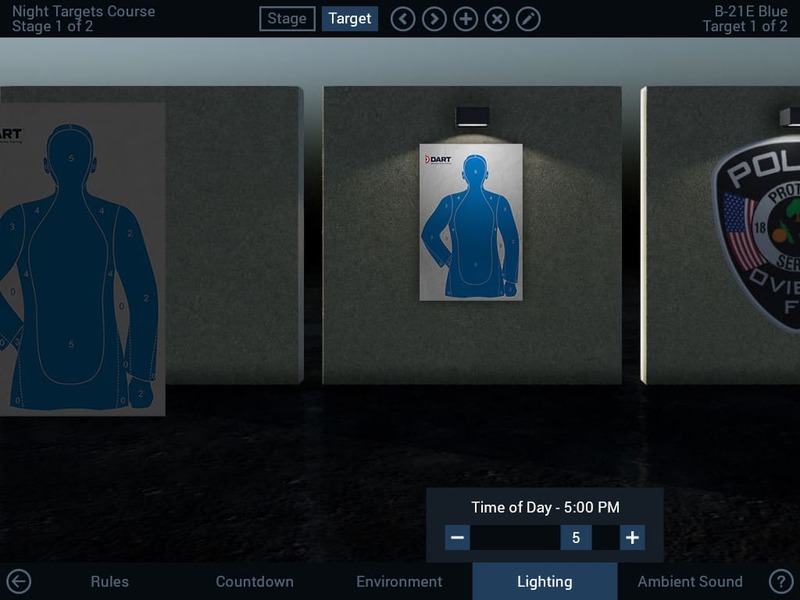 Officers are able to load and run courses on their own, and these new instruction options are a perfect way to help ensure that they follow your training program. From the very beginning, DART has embraced the use of 3D graphics over video. Where video tends to be finite and predictable, computer graphics offer limitless possibilities which can be generated almost effortlessly. DART 2 features a completely new system for creating environments using easily editable props such as walls and doors. Together with realistic time-of-day lighting, DART 2 can simulate a wide variety of real-world situations.